Now, I acknowledge that this is a silly thing to harp on, but I’m happy that the idea of putting the word “another” in the title of sequels didn’t catch on. 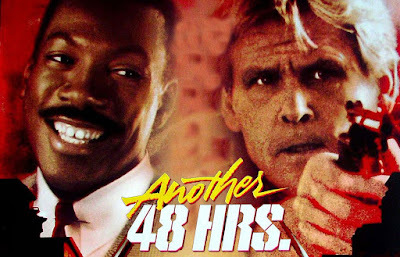 This thought only came about because I stumbled onto the long forgotten follow-up to the 1982 Eddie Murphy hit, 48 HRS, on TV last night, which was lamely titled, ANOTHER 48 HRS. This kind of titling is lazy as hell, but it’s actually truth-in-advertising because the film was a lame rehash that deserved such unimaginative labeling. The 1990 action comedy was a modest hit, but lambasted by critics (it stands at 15% rating on Rotten Tomatoes). 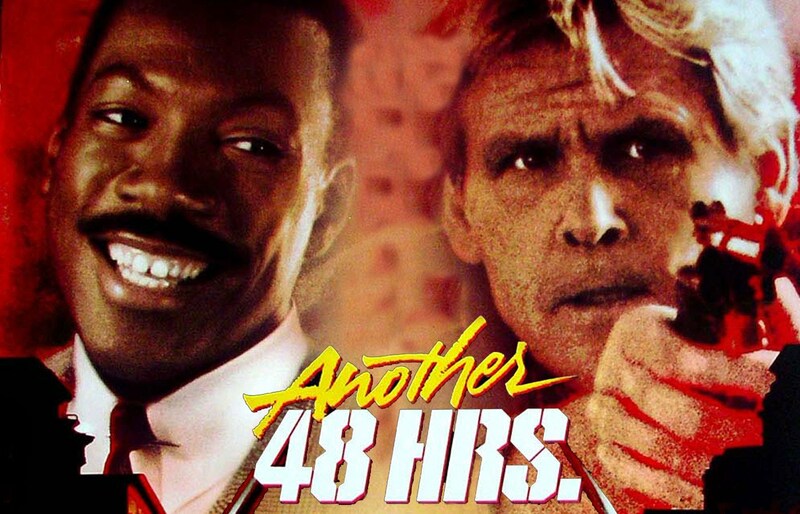 There was actually talk of a third film for the franchise entitled YET ANOTHER 48 HRS, but thankfully that never materialized. This definitively inessential sequel flopped big-time and was largely panned (it’s at 14% on Rotten Tomatoes) during the summer of 1993, and it’s probably a movie you’ve never heard of. Hell, few folks today even remember the original STAKEOUT as I can’t remember the last time I’ve seen a reference to it. 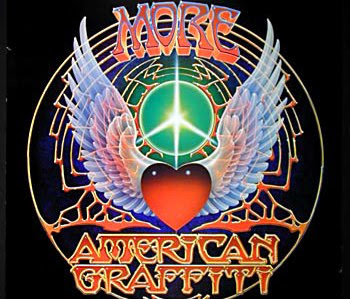 So they tried to make that happen twice, but there’s a device that’s even lamer that was only used once: putting MORE in front of the recycled titles, as in MORE AMERICAN GRAFFITI. So glad that didn’t catch on either. I mean, can you imagine how unbearable it’d be to see ads for movies like MORE HORRIBLE BOSSES or MORE ZOOLANDER? It’s great that so many sequel titles these days don’t just slap a Roman numeral on the end, they have ampersands and subtitles ‘n all, because they really should at least try to disguise that it’s the same ole thing again, right? The use of “another” appeared to imply that the studios were being cynically upfront about the shoddy quality of their recycled products. Here’s another one, kids! Collect ‘em all. So this has been my look back at the brief era in which a badly chosen yet accurate word graced a couple of lame sequel titles.